An important factor in today’s advertising mindset is the need to acknowledge the influence of Millennials in your advertising and how you interact with them in a business matter. This generation of shoppers has developed their own habits, responses and language that businesses today must cater to if they are to remain competitive. Whether you are selling fidgets spinners, plumbing services or cars; the millennial generation buying habits should be identified and understood as to take advantage of this valuable purchasing demographic. In this article will look at some of the buying habits and strategies necessary to help your business in Riverside, CA. be more productive. The millennial generation has grown up with technology available in every part of their lives; because of this, it is also molded some of the behavioral trends that are seen as commonplace with this generation. Millennials do not enjoy or appreciate a setting where they cannot get their way or feel that they may be told “no”. (they avoid confrontation) Because of this, they have sought resources that allow them to ask questions anonymously until they find the answer that they’re looking for such as: online forums, blog articles, contact forms and social media. It is important to recognize and acknowledge this fact when you do get an opportunity to speak with a millennial face-to-face about a pricing issue, service request or discrepancy. It is better to tell them what you can do, rather than tell them what you can’t do. Unlike the impulse buys of the baby boomers Millennials tend to be much slower to buy feeling that researching a particular product or service leads to a better quality purchase. This is where Amazon, Google and Facebook have become so popular creating an open environment whereby they can research products and services based upon reviews and information that is available. If you have products that are listed on your website, for example, and it only contains one image and a brief description, it is less likely to be purchased by a millennial. By providing solid information and reviews it allows a millennial to feel more at ease with the quality of your product or justification of the price. Millennials will also patiently wait for rebates if the mail-in rebate is greater than the instant in-store price. Millennials will seek out the best price over quality nearly 95% of the time. Millennials interviewed by numerous outlets such as Amazon, Forbes and Google identified that they will make a purchase based more upon the fact that they “found” the cheapest price through their research over a product that is better quality at a higher price. When a millennial finds two products that are similar in price they will purchase the one that has the greater amount of information available with the most reviews. This is far different than the baby boomer generation where brand name products were sought regardless of price, identifying price is a perception of quality. Millennials appreciate companies that respect their points of view and look forward to shopping at these types of places. 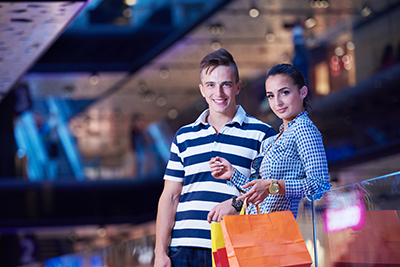 Millennials will gladly join loyalty programs if they feel that the loyalty program will reward them for their purchasing options monetarily. It is noteworthy to mention that they are NOT loyal to the brand (at the expense of a higher price), price is always a motivating factor. This is why larger brands like Abercrombie, Nike and Apple will push the brand recognition… but always associated with their price AND a comparison price of the nearest competitor. Note: Research modeled in this article was gathered and derived from millennials 18-32 that were using “their own money”. This is an important variable, as those surveyed who lived at home, with no direct earned income, identified spending habits to be more impulsive and more brand specific. When it comes to experience, trust the professionals at Precision Sign and Graphics serving the Riverside, CA. area. The proof is in the product with our many satisfied customers, happy to show off our workmanship. From the first phone call, you will know that you contacted a professional sign and graphics company; asking all the right questions to provide you with the advertising print product that will help brand your business in the Riverside, CA. area. Be sure to trust the experts when choosing the right company for your sign needs.